During the 20th century, Cambodian music experienced an important transformation with the arrival of 1960’s and 1970’s rock n’ roll influences from abroad. These two decades of rock did not completely disappear despite the dark times the country endured during the Khmer Rouge turmoil. Even if parts of the repertoire have been lost, people can continue to enjoy some of the most popular songs that are nowadays covered by contemporary bands. This rock CD presents a selection of Cambodia’s fine musical selections. The songs have been recorded from old vinyl discs that survived the Khmer Rouge upheaval. As such, these are rare original recordings that have simply been cleaned up in order to provide a quality product while remaining true to the artists’ and producers’ creation. The Bophana Center is proud to restore Cambodian audiovisual heritage material and share this art with the broader public. The Center wishes to create this CD of original songs in order to provide the community a linkage to enrich and discover Cambodia’s musical heritage. The first Western musical instruments were introduced to Cambodia during the French Protectorate years. With introduction of European musical classes, Cambodian musicians began to appropriate Western instruments by infusing them with traditional Cambodian instruments. Bilateral trade between Cambodia and the Philippines was important during the 1930’s for diffusing cultural influences to Cambodia. The Philippines, being very close to Latin-American culture, exported new musical genres and instruments that became important influence in Khmer rock. Rumba, cha-cha, bossa nova, and tango rapidly spread throughout the Kingdom. The increase in U.S. military presence in neighboring countries during the 1950’s encouraged rapid diffusion of rock and pop subculture music scene, taking over Phnom Penh’s dance floors. Various rock bands, singers, and dancers appeared in many movies like, “The Joy of Living” by King Norodom Sihanouk (1968). The new form of Cambodian music quickly flourished through affordable consumer technologies such as audiocassettes and radios allowing easy accessibility of Westernized music throughout the country. Even some remote small villages could have access to rock music. Cambodian musicians transformed local rock by mixing together Western and Latin music with traditional Khmer music. It became a genre unique to Cambodia noted as Cambodia’s vibrant Golden Era. 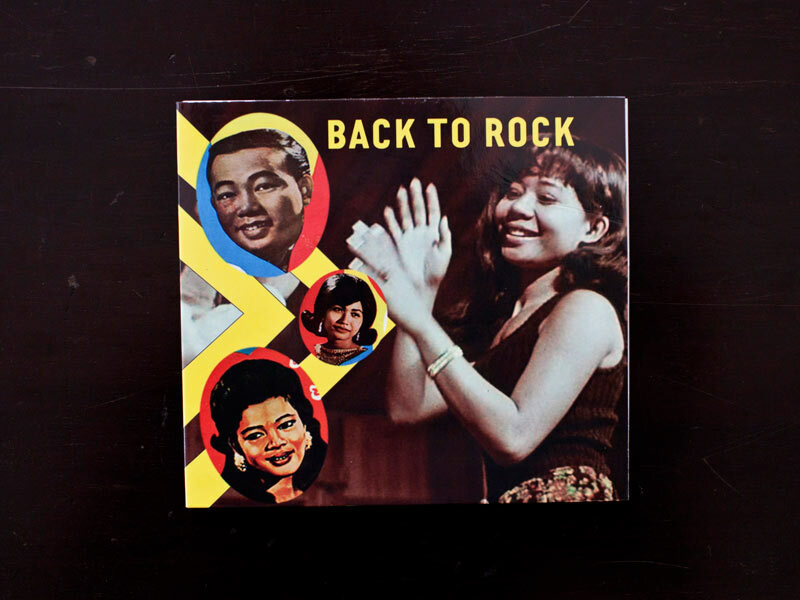 Khmer rock became an integral part of daily life and a symbol of Phnom Penh’s energetic nightlife throughout the 1960’s and 1970’s, making it one of the main cultural and musical hubs in Asia. Some of this rock repertoire is still played during festivals and popular holidays throughout Cambodia. Children and adults alike still grandly enjoy their catchy rhythm and can recall to the lyrics to these old hits by heart.